While this sentiment may have some truth behind it, rugby’s reputation for being a tough, physical game on the pitch is matched by its civility and respect off it. The age old custom of buying your opposite number a beer after the game, whatever the result, reflects the spirit of rugby and of those who play it. Black&Blue 1871 is a brand inspired by rugby. A brand which embraces the traditions of the game and draws on its heritage. The clothing is made to be durable enough to play in and comfortable enough to grab a beer in, whether that be in the clubhouse or your local. Black&Blue 1871 has taken the founding date of 1871 and 13 of the original 21 founding clubs of the Rugby Football Union (RFU) and created an apparel brand which harks back to the early days of rugby. Long after William Webb Ellis picked the ball up at Rugby School and ran with it in 1823, rugby was still just a ‘hooligans game played by gentlemen’. 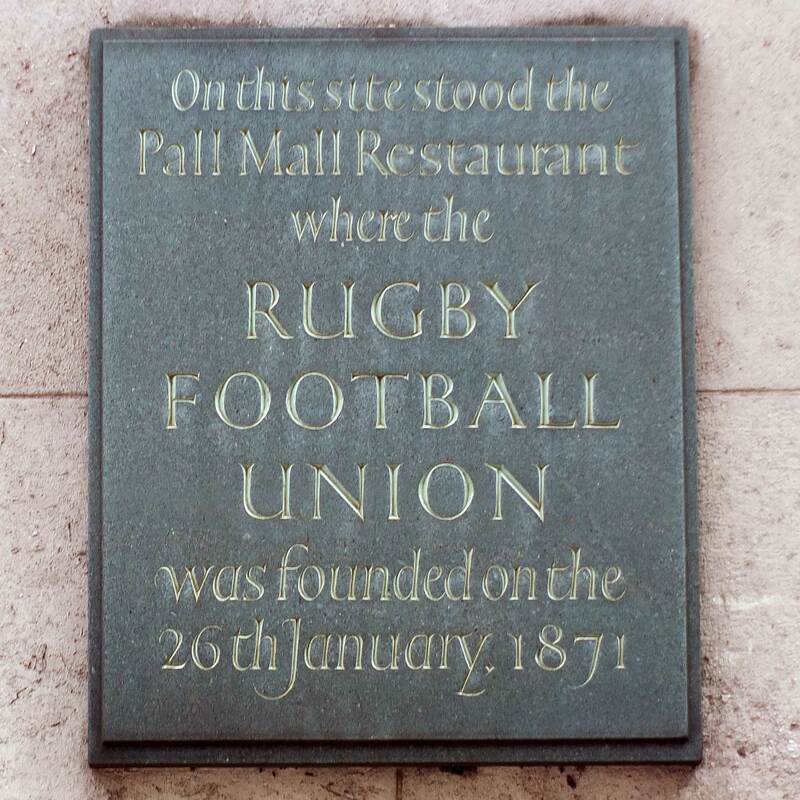 But in 1871 all that was to change when a meeting was convened at a restaurant in Pall Mall, London by 21 rugby clubs who wanted to ‘codify the rules of the game’. Soon after the meeting, the the first laws of the game were drawn up and the game of rugby as we know it was born. Of the 21 original founding clubs, 13 either disbanded or ceased to exist and little is known about many of them. Black&Blue 1871 has taken these majestically named founding clubs and brought them back to life giving each club its own identity, colours and crests. Rugby has a rich history and these long forgotten clubs were at the start of it. Our aim is to bring these clubs back to life and, in time, to call on those who buy in to them, whether it be the Mohicans or the Marlborough Nomads, to don their rugby shirt with pride and meet fellow members for a game, be it touch or full on Black&Blue contact or perhaps for a fun day with the family at a Black&Blue 1871 tug-o-war tournament. Whatever we do, we hope that you’ll want to be a part of it and to represent your ‘club’ and become part of a new chapter in the history of these wonderful old clubs.